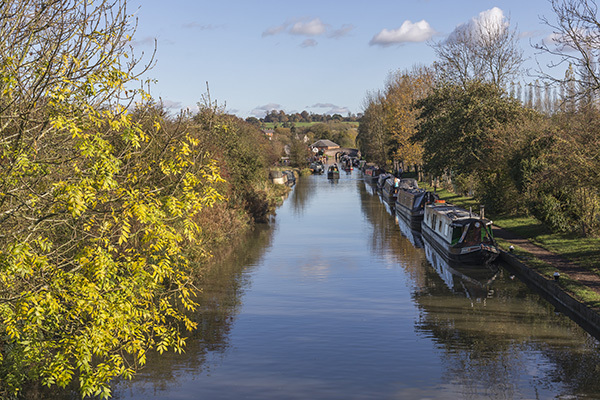 Great British Boating offers a range of canal boat holidays on the 2,000 miles of Britain’s inland waterways, with all of the information you need to plan and make the most of your time. You can adventure at your own pace along our recommended routes, watching out for wildlife and stopping to enjoy traditional pubs, tea rooms and country walks, as well as exciting historic attractions and cultural events. Our peaceful canals and rivers offer a great way to relax and discover Britain from a unique perspective. Choose from hundreds of top quality boats offering all the comforts of home, and all operated by established canal boat holiday companies. Our canal boat hire operators offer a range of holidays from each starting point. Short breaks are three-night weekends or four night mid-week holidays. They are great for beginners, providing the chance to get a taste of life afloat on Britain’s inland waterways. One week holidays provide seven nights away, starting on a Friday or a Saturday. A week afloat offers the chance to travel further and explore more waterside attractions. Longer holidays can be 10-days, two weeks or even longer. These holidays offer the chance to travel round some of the larger circuits, taking in a wide range of landscapes and destinations. To find out more about the different holiday options available, please use our interactive map below. 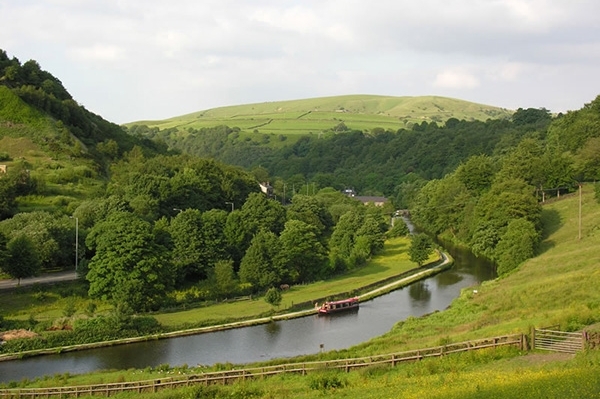 From the quiet remoteness of the Leeds & Liverpool Canal where it crosses the Pennines, to the regenerated waterfronts of exciting cities like Manchester, Leeds and Liverpool, Britain’s northern waterways offer canal boat holiday makers a fantastic choice of routes with many iconic canal structures. 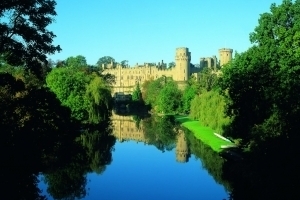 From peaceful country villages with historic local pubs, to some of Britain’s best-loved towns and cities with world famous attractions like Shakespeare’s Stratford and Warwick Castle, our central waterways offer the chance to see the Heart of England from a unique perspective. From the majesty of the Royal River Thames to the peaceful countryside of the Kennet & Avon Canal, the waterways of southern England offer narrowboat holiday-makers the chance to enjoy some of Britain’s best loved countryside, as well visit iconic cities like World Heritage status Bath and Oxford. Great British Boating offers information and advice to help you decide on the right boat, departure point and journey for you. It’s easy to learn how to steer a narrowboat and operate the locks. You don’t need a licence and all our narrowboat hire operators provide expert tuition and detailed pre-arrival information. Great British Boating offers the choice of over 40 canal boat hire departure points, and most are located within a reasonable train or taxi ride from an international airport. Transfers can easily be arranged. From quiet country pubs and village churches, to exciting historic attractions where history and culture come to life, you’ll find plenty of places to visit on your canal journey. 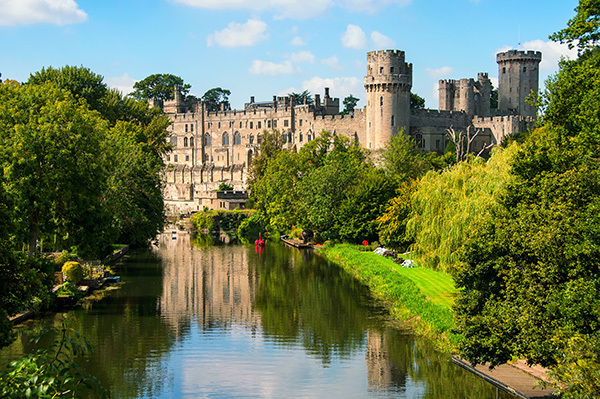 This jaw-dropping castle on the banks of the River Avon is almost certainly Britain’s greatest medieval experience, along with over 1,000 years of fascinating history to explore. 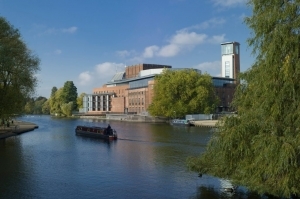 This magnificent 1,040 seat theatre on the banks of the River Avon in the heart of Stratford-upon-Avon, is dedicated to the famous English playwright and poet William Shakespeare. 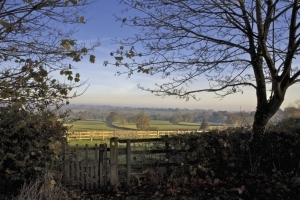 This popular and scenic 160 km walk which takes you through the English Midlands, meets the Grand Union Canal at the Navigation Inn, Lapworth, next to Kingswood Bridge. 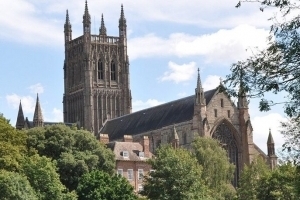 Overlooking the River Severn, with Royal tombs, medieval cloisters and magnificent Victorian stained glass, this is one of England’s most famous and iconic cathedrals. Take a look at what some of our customers say about their holidays with us.